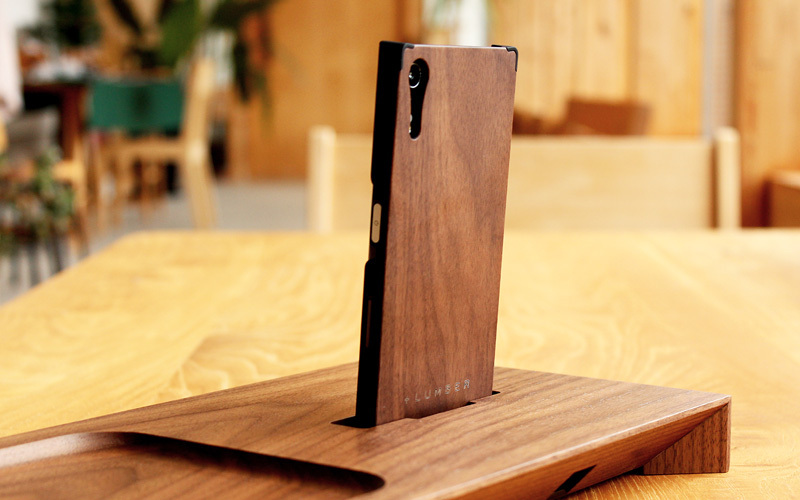 This stand to specifically house a charging dock for Xperia is carved out of solid timber and exquisitely finished by the hand of craftsman. It brings about the sacred beauty of the natural material. 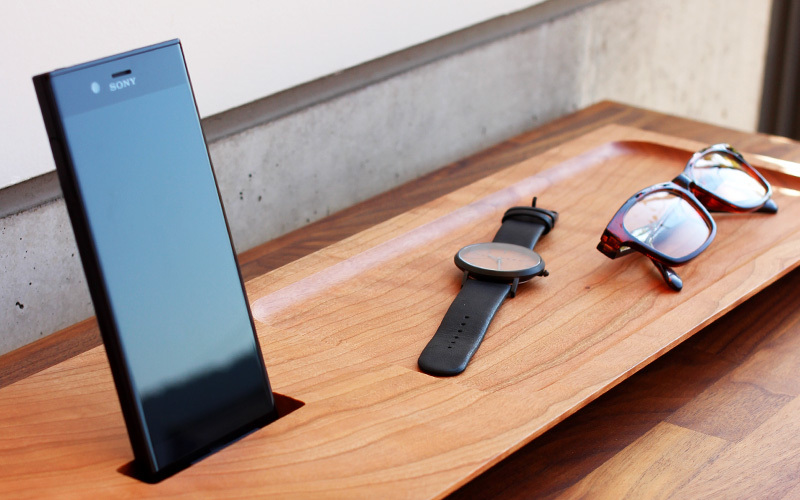 Since this charging station has lavish tray for watches and other accessories, your smartphone can be charged and kept together with things you cannot leave home without. 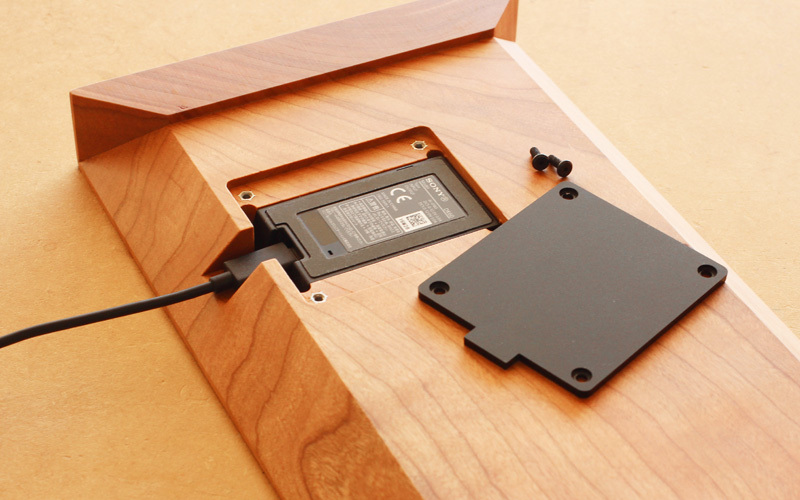 Screws on bottom cover can be loosened with the Hex wrench included. Charging dock is not included in the price.